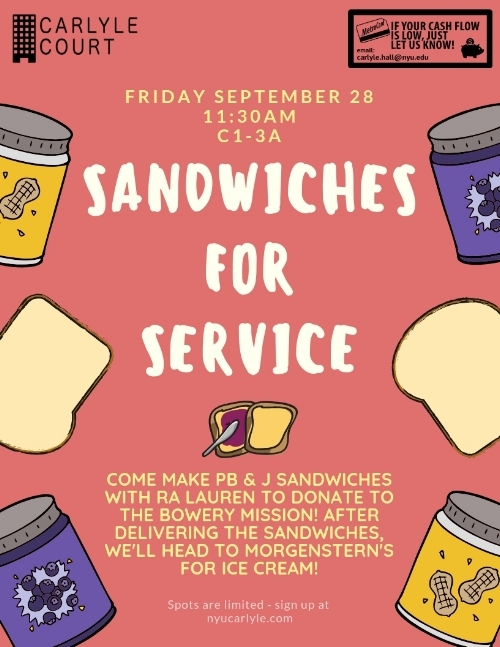 Join RA Lauren in making PB & J sandwiches to bring and donate to the Bowery Mission. Afterwards, we will be visiting the famous Morgenstern's Finest Ice Cream for a delicious treat! Spots are limited - sign up below.